Capitol Caterers was launched in July 1992, and the following year opened their first four contracts in the Eastern Cape and KwaZulu-Natal. Now, more than 25 years later, Itakane t/a Capitol Caterers boasts being the preferred caterer at more than 100 contracts in the Education, Health, Commercial and Retirement sectors within South Africa and Swaziland. Capitol Caterers is headed by two Managing Directors Russell Nzimande and Merrill King, both of whom have more than 20 years' service in Capitol Caterers. Says King and Nzimande, "Having two Managing Directors allows the business to focus on the key areas of commitment and service to our clients. We pride ourselves in cementing strong relationships with existing clients, preferring to be an extension of their management or family, rather than a mere service provider." Capitol Caterers promotes the support of local producers, ensuring nutritiously balanced, quality meals at competitive prices and being mindful of our environmental footprint, all the while sustaining and improving the wellbeing of our staff. 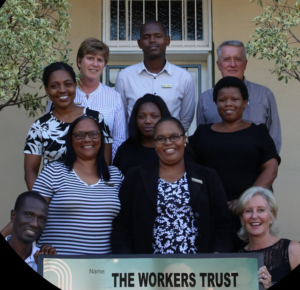 With over 25 years’ experience in the industry, and with a retained B-BBEE 1 Status, we know that what sets us apart is our expertise, our sincerity and love for serving people, our professionalism, and the fact that we make integrity part of everything that we do. We provide excellent function catering to our existing clients, delivered with a uniquely personal touch through our expertly trained teams. We have also expanded into site facilities management, and we provide the full spectrum of services from catering to cleaning and laundry. Through our diverse food culture and service excellence we wish to be your preferred hospitality solution. To provide a unique, quality service to all our clients, by ensuring that everyone is treated as our only customer and to focus our energy on staff development and talent retention, thereby inspiring a passion for excellence. 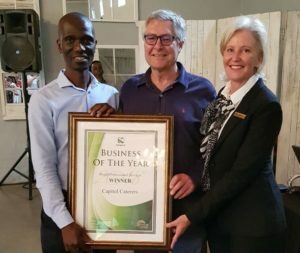 WINNERS of the 2018 Nedbank PCB Business of the Year! We take our first Conference Cruise on the luxurious MSC Musica with our entire management structure on board.